Michelle had to do an interview at a hotel in Pebble Beach, and since we had never been to the central coast, we decided to take the long way back to LA. I think we may have tried to pack too much into each day, but there were so many things to do! After Pebble Beach, we went up to Santa Cruz to hike in Henry Cowell Redwoods State Park. This time was thankfully more successful than the last attempt. 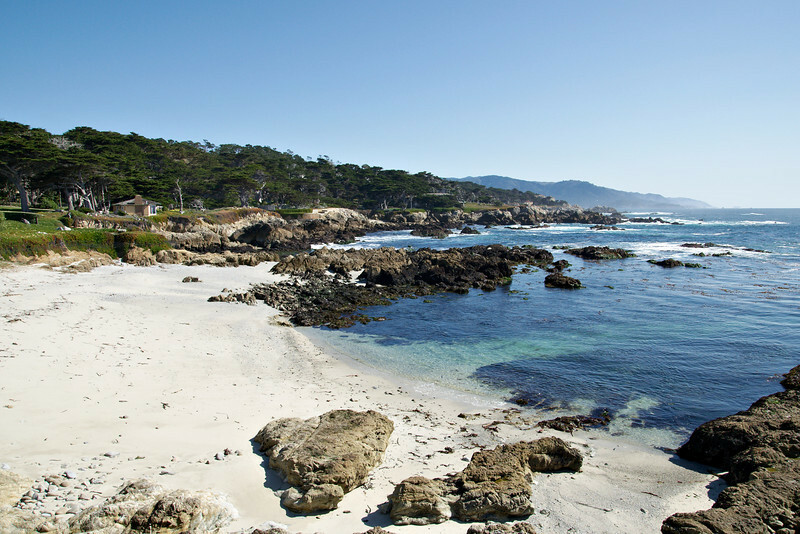 The next day we walked all over Point Lobos and drove down to San Simeon to see the elephant seal colony there. Along the way, we stopped at Pfeiffer beach to look at the purple sand. On the last day, we stopped in Solvang to visit the Quicksilver Ranch and Ostrich Land. In case you want to see small cropped pictures of animals, there is also another small gallery here. The day was getting a bit late (we wanted to go hiking after this), and we were getting tired of the cycle of parking, looking around, and getting back in the car. So we were a bit reluctant to stop at this spot, but I'm glad we did!